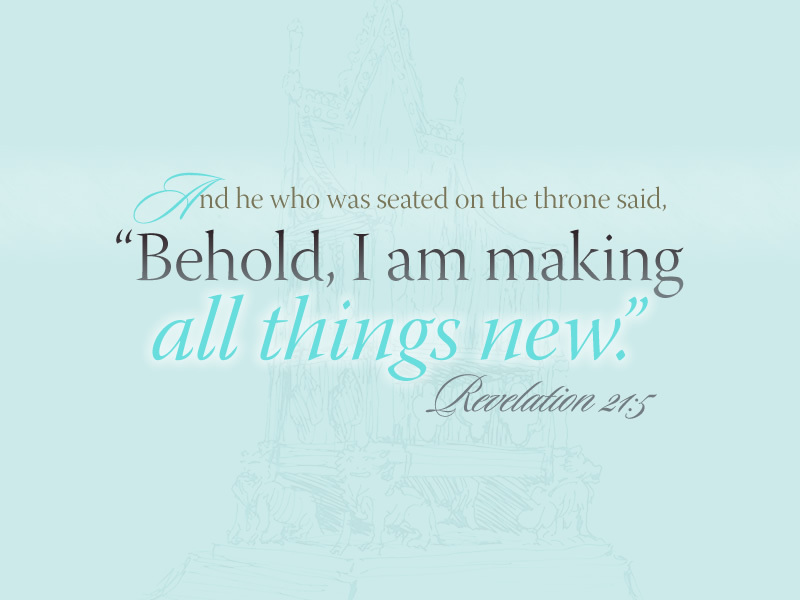 I Am the One who makes all things new says, I will make all things new for you, says the LORD. I will do a new thing with you and for you and out of you will come a flow of the new. I will bring you into a new season of joy and peace and power as you press into My presence where there is fullness of JOY. Keep pressing into Me, says the LORD. I will reward you as you seek Me with all of your heart. I will strengthen you and help you and further you in My kingdom as you diligently seek Me. Make My presence your priority, says the LORD. All that you need and desire is on the table in My presence that is spread before you. I will not withhold anything that is good from you. Seek Me with all of your heart, and do not give up. You will not only find Me, but you will discover your purpose in ME. I will fill you with My power and anoint you with My Spirit so that you will have great joy. Do not fret about tomorrow, for I hold all of your days in My hands. I have you! Just take one step at a time that I order for you and that which I order will be provisioned by Me, says the LORD. You have purpose, and I will lead and guide you one step at a time into your full destiny and kingdom purpose in Me. You will not be disappointed, as I will cause you to bear much fruit and your life will touch many others as they see My glory on you, says LORD.